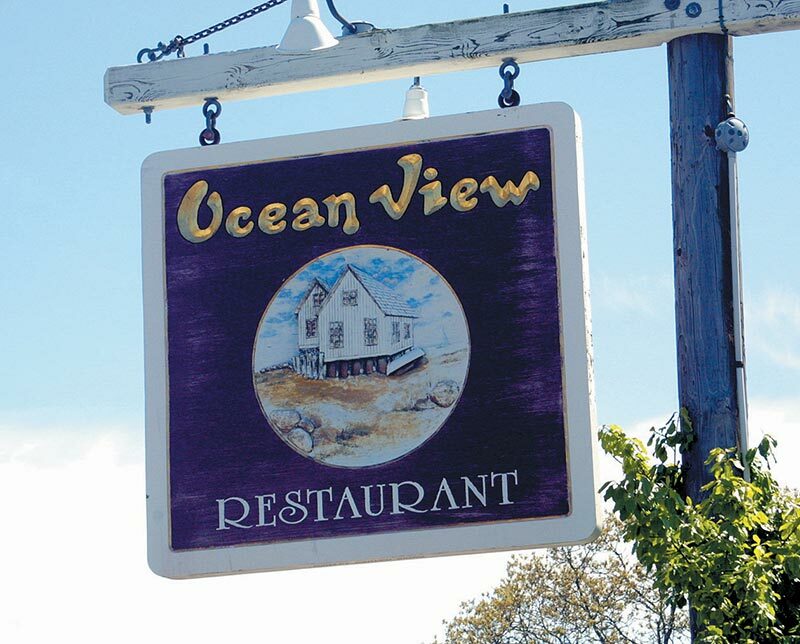 Earlier this month the Ocean View Restaurant in Oak Bluffs came under the ownership of Mike Santoro, who owns the Lookout Tavern and Fishbones Grille. Mr. Santoro purchased the restaurant from Ron and Peggy Jackson, who had owned the popular year-round restaurant for close to 35 years. New General Manager Jennifer Toppin, formerly of the Lookout Tavern, notes that the tried-and-true Ocean View menu will remain intact, with some new additions that were popular at the Lookout, including the Tuesday-night burger special. Now Ocean View customers can enjoy a ½-lb. burger with cheese for $8, or a specialty burger for $10, which includes fries. Customers can still take advantage of the popular prime rib special on Saturdays and lobster night on Wednesdays. The Ocean View serves a full menu for lunch and dinner daily, including Sundays, from 11:30 am to 10 pm. Their pizza and bar menu is also available until 11 pm on Friday and Saturday. Ms. Toppin said that the restaurant can accommodate large parties, and is a great option for the sporting groups crowd after a late game, given their reliable late hours. Mr. Santoro and Ms. Toppin also managed the serving staff at this past Saturday’s Big Chili Contest. “Now that Chilifest is behind us, we’re excited to hit the ground running. It’s already been amazing, and everyone has been so supportive,” said Ms. Toppin.